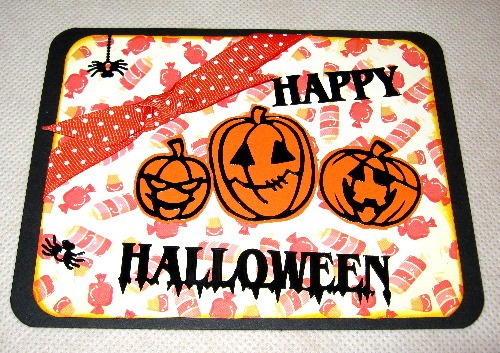 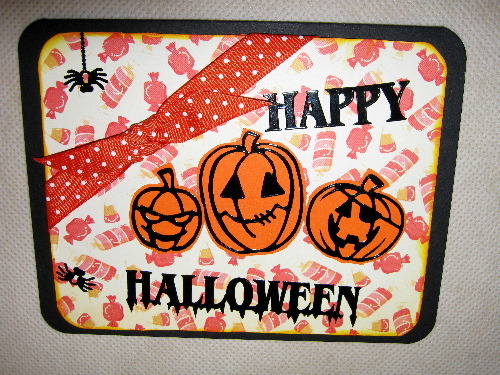 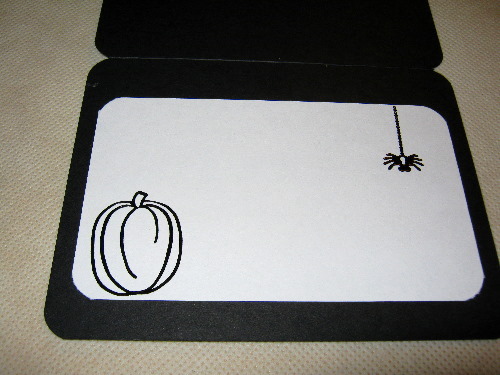 Posted on November 30, 2010 by Albert G.
Posted on September 21, 2010 by Albert G.
Here’s a quick and colorful card for the upcoming Halloweenie! 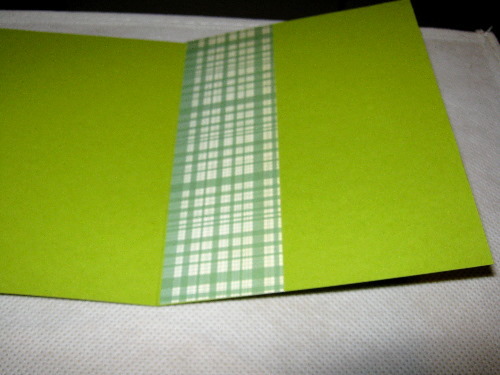 The base cardstock is Papertrey Ink Simply Chartreuse. 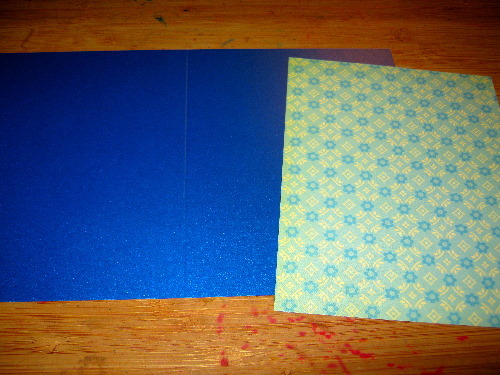 The plaid mat is from the Cosmo Cricut “Matilda” Collection. 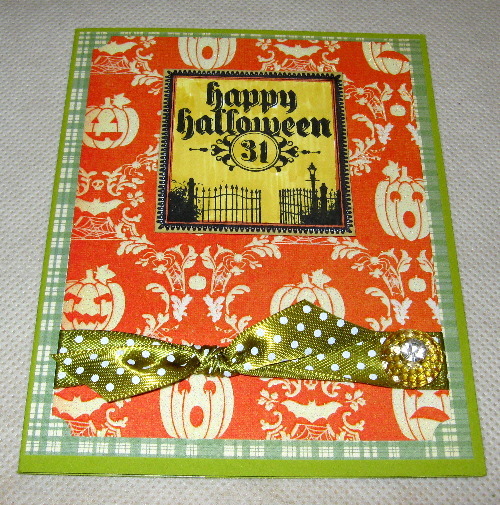 The glittered pumpkin mat is from the “Midnight Spell” stack by Die Cut With A View (DCWV). 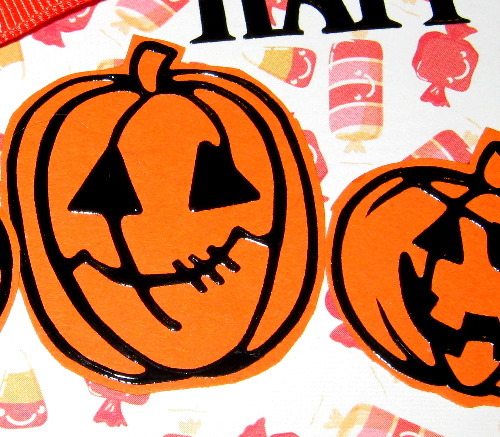 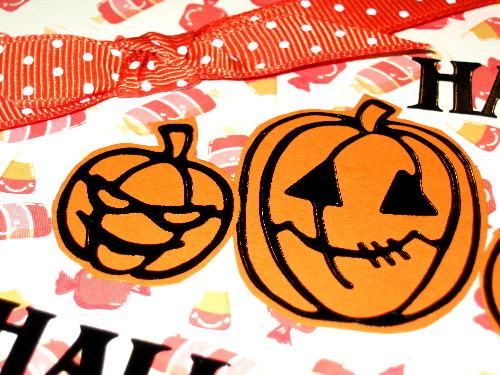 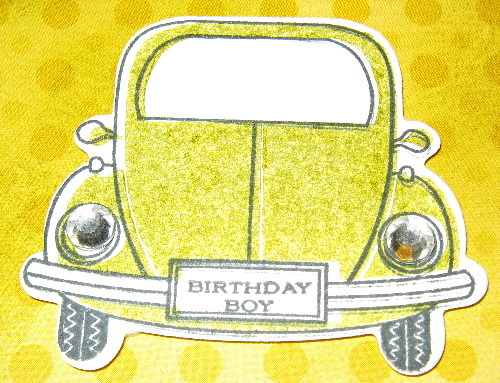 The stamped image is from Stampin’ Up!’s “Dark & Dreary” clear-mount set (#121151, $ 14.95). 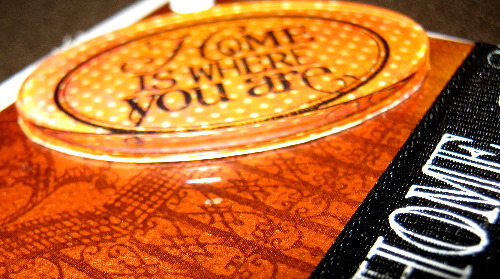 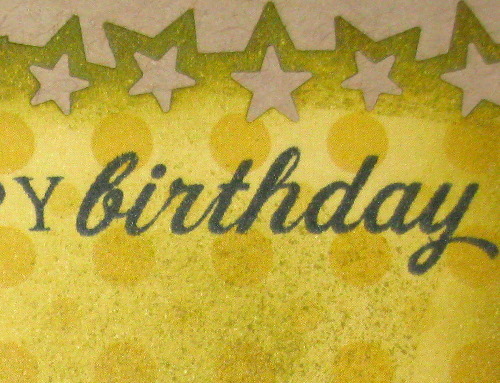 It was stamped with StazOn in Jet Black on Stampin’ Up! 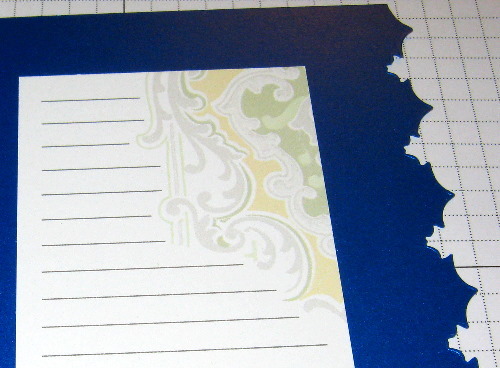 Whisper White cardstock. 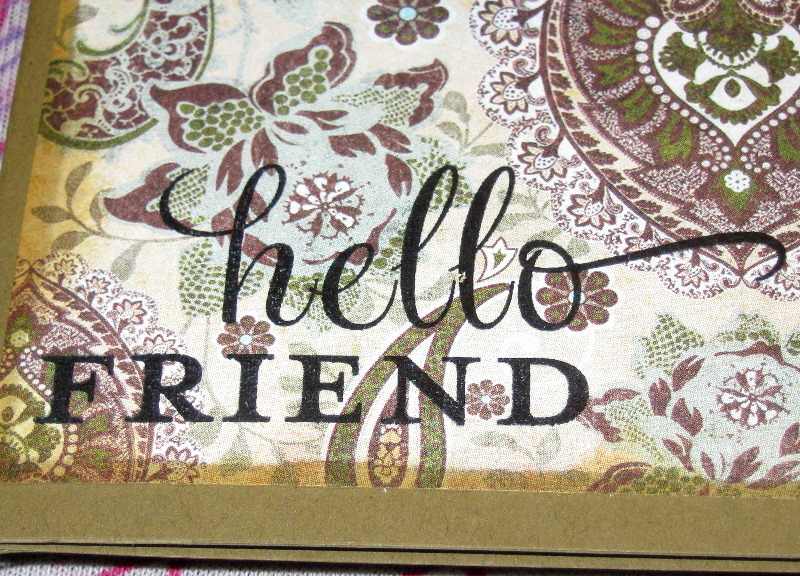 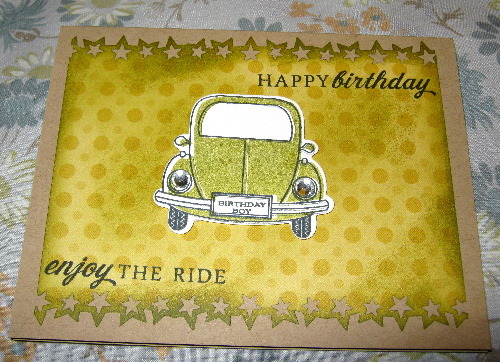 I used Stampin’ Write markers in Daffodil Delight and Really Rust to highlight the image. 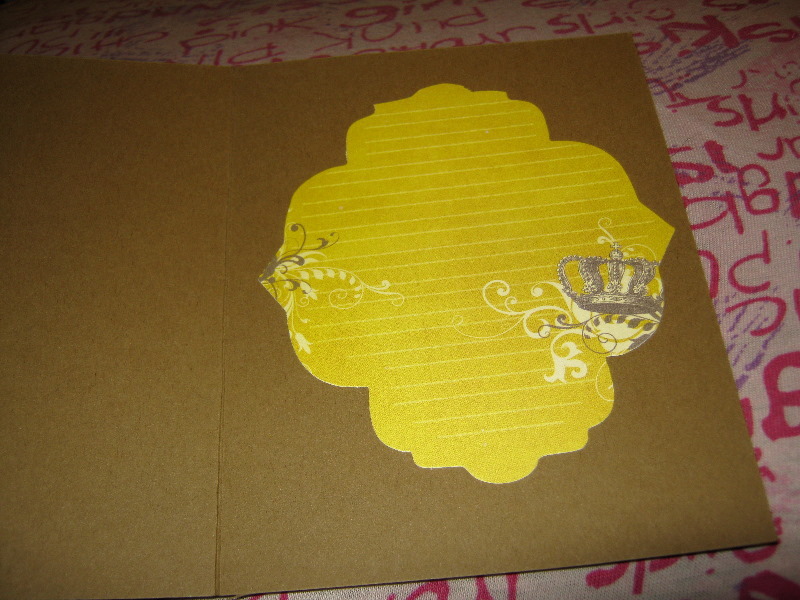 The image was adhered with Stampin’ Dimensionals. 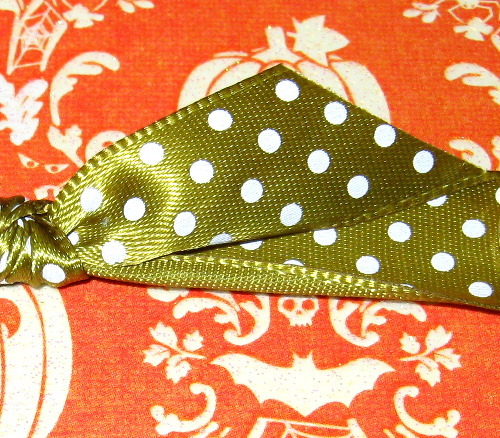 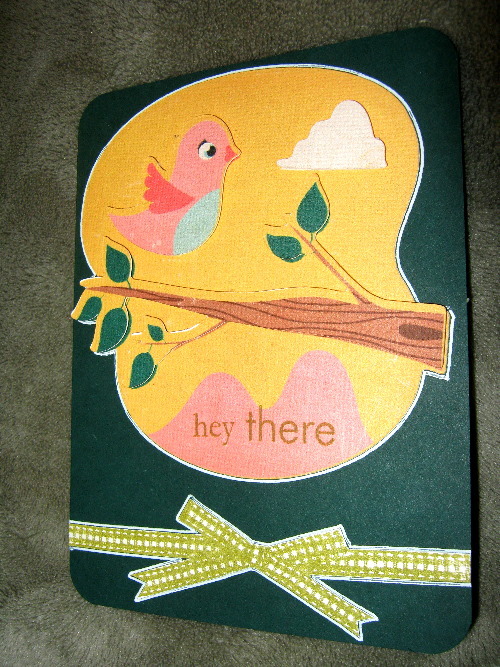 The ribbon–in Ripe Avocado–is from Papertrey Ink as well. 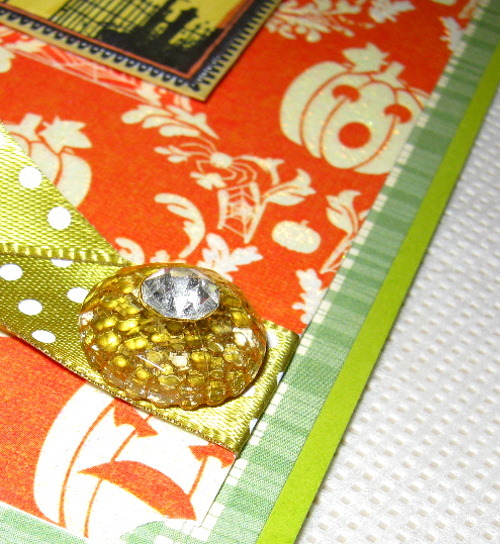 The final accent is a Sparkler Button in Peach from Webster’s Pages. 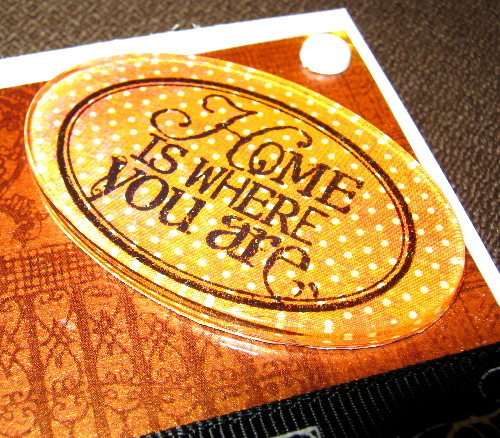 Posted on April 30, 2010 by Albert G.
Last night, I finally got around to playing with some of my new Tim Holtz ‘On The Edge’ dies. 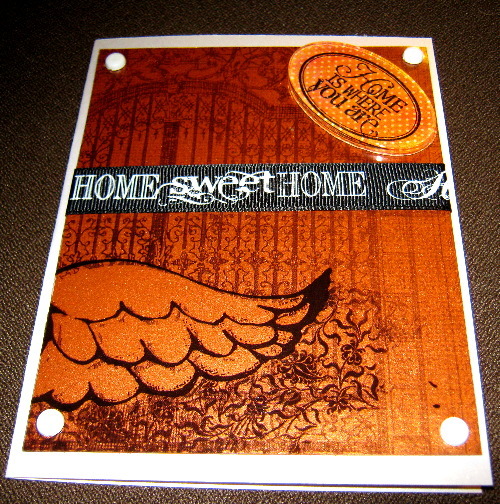 You will recall that these new dies are part of a collaboration between Sizzix and Tim Holtz for a new line called “Tim Holtz Alterations”. 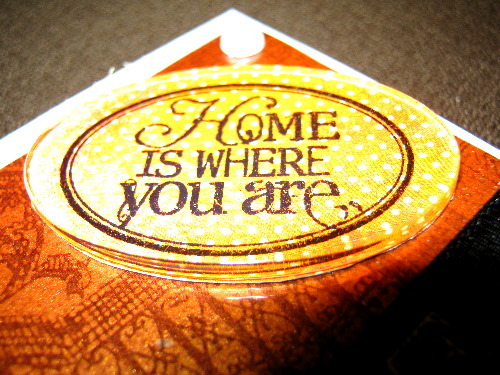 This die is unique in several ways. 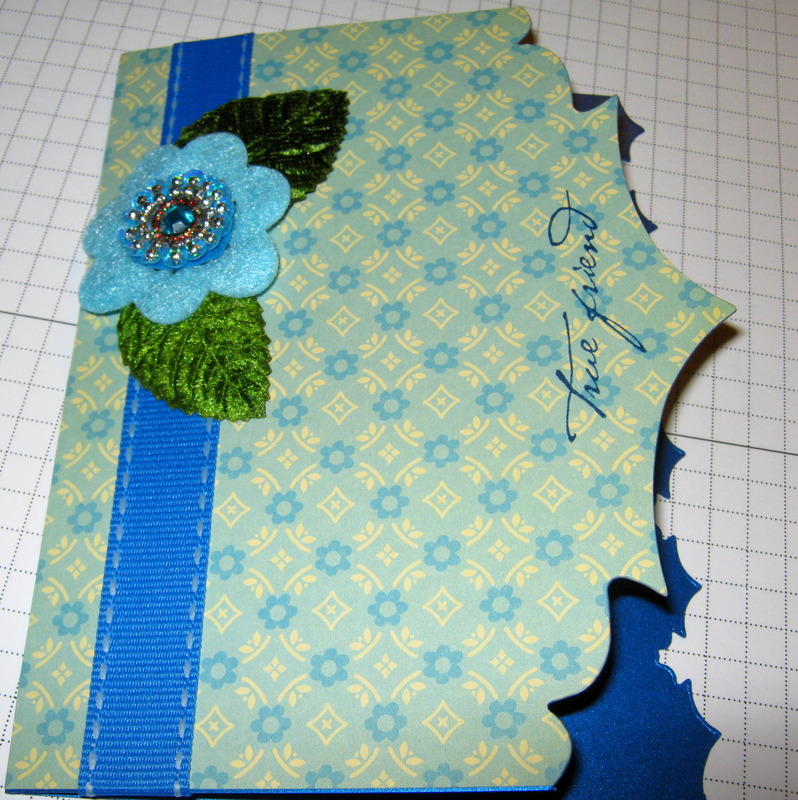 First, it is a new size and shape for the Sizzix line. 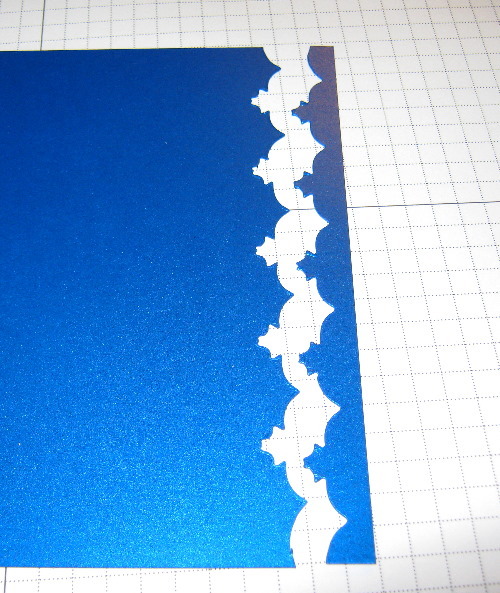 The dies are 6″ x 2 3/4″ in measurement and are designed to cut a perfect 5 1/2″ border (which of course is the standard A2 card size). 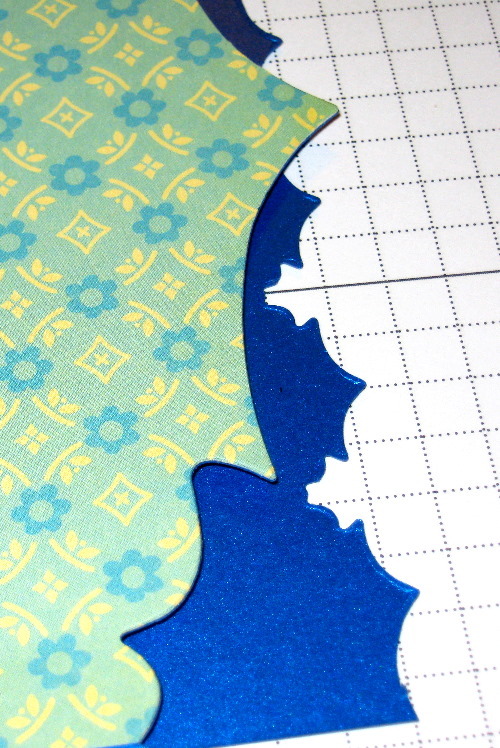 Each die (with the exception of one) actually features two cutting edges–one on each side of the steel rule die. 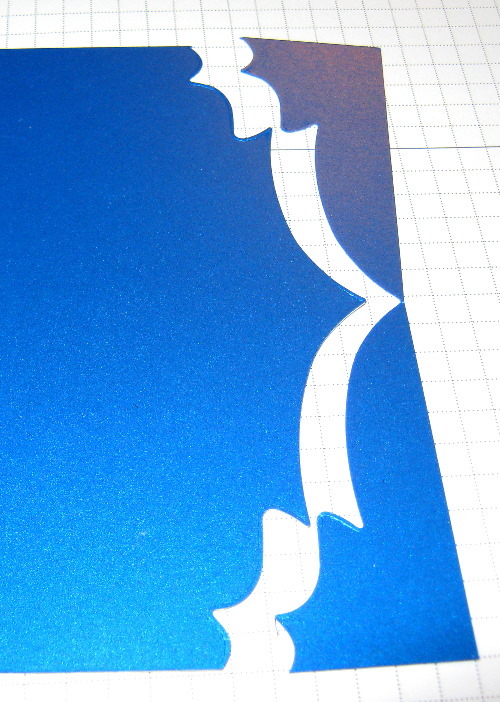 You can use them in tandem–or simply use only one cut. 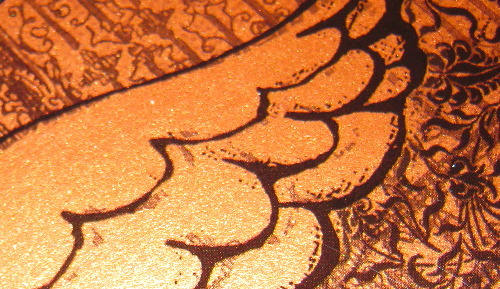 For this project, I experimented with the die called ‘Ornate’. 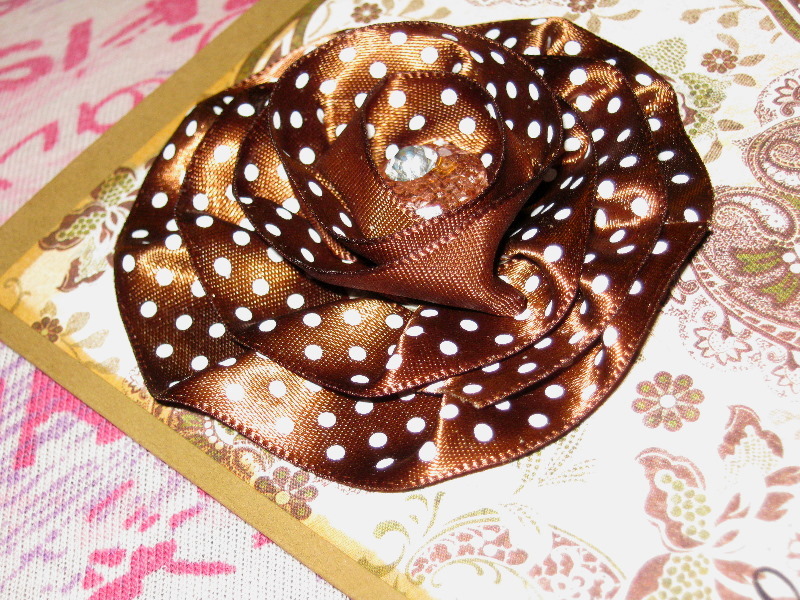 I chose to use Stardream So…Silk! 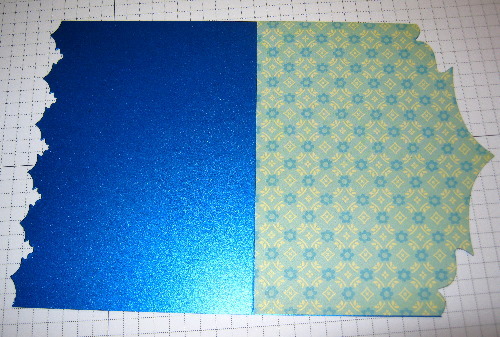 mica cardstock in Fair Blue for my base (cut at 5 1/2″ x 8 1/2″, scored at 4″). 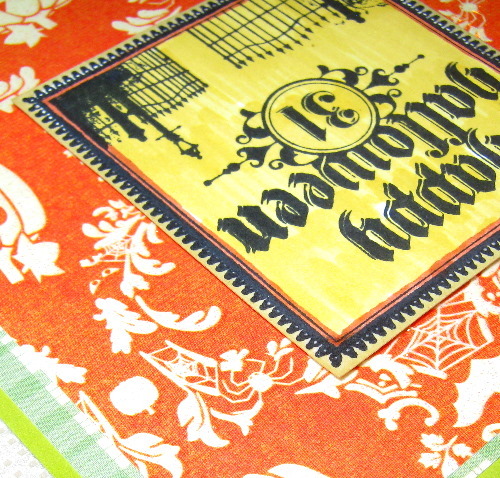 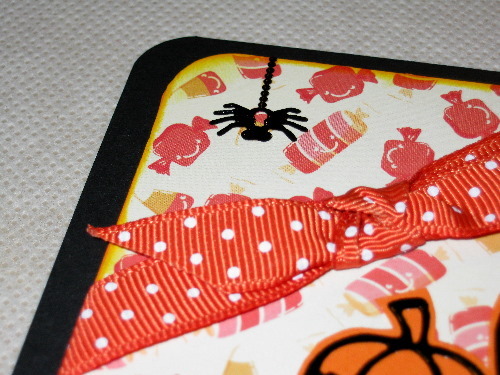 The decorative paper I chose for the front is from Cosmo Cricket’s “Material Girl” collection (cut at 5 1/2″ x 4 1/4″). 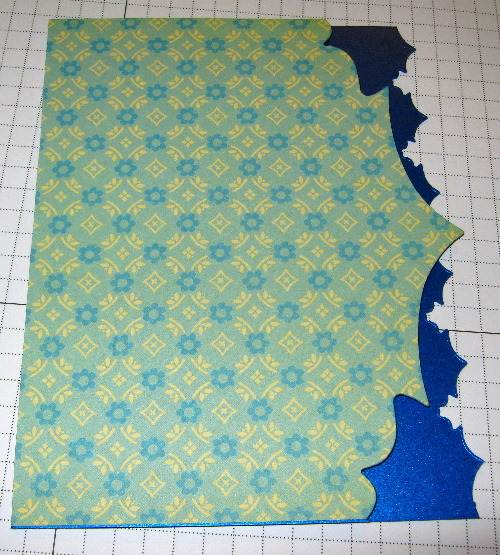 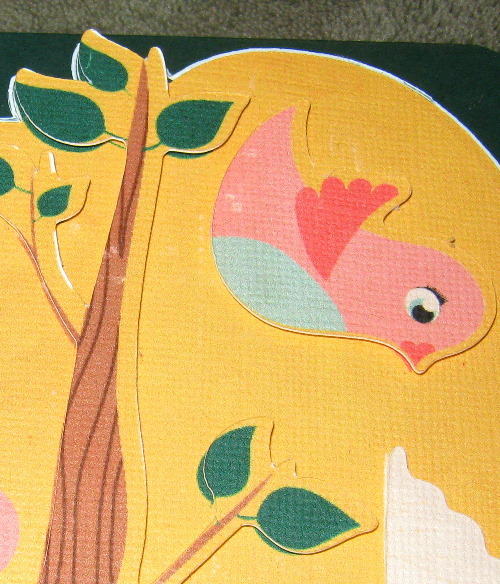 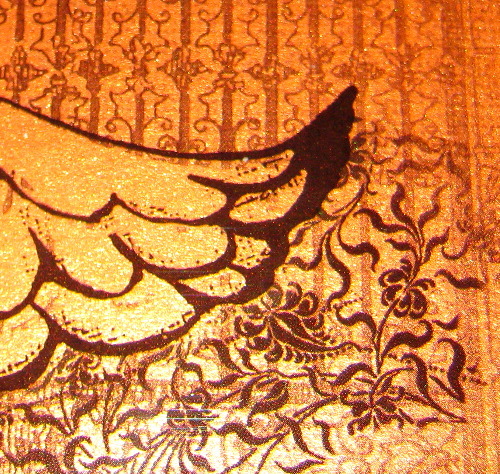 I adhered the decorative paper before I began to cut with my ATG 714. 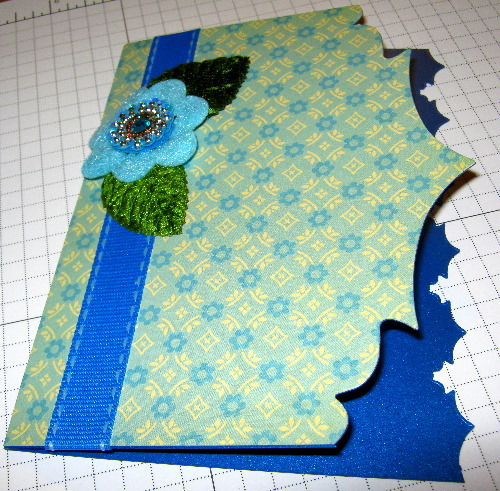 I used my Cuttlebug and On The Edge Die on each end of my cardstock, making two decorative cuts by simply reversing the die on each pass. 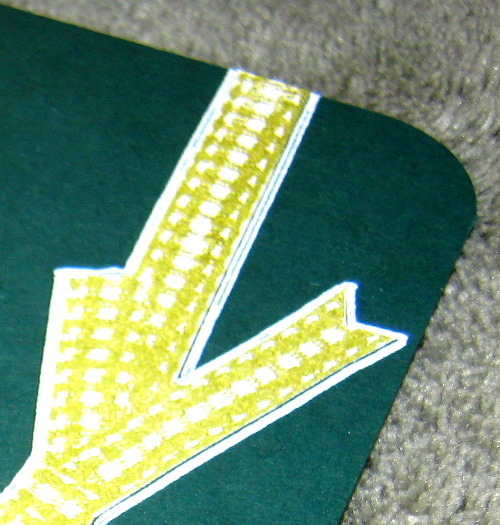 Flipping the cardstock back to the front side reveals the shape my card will take. 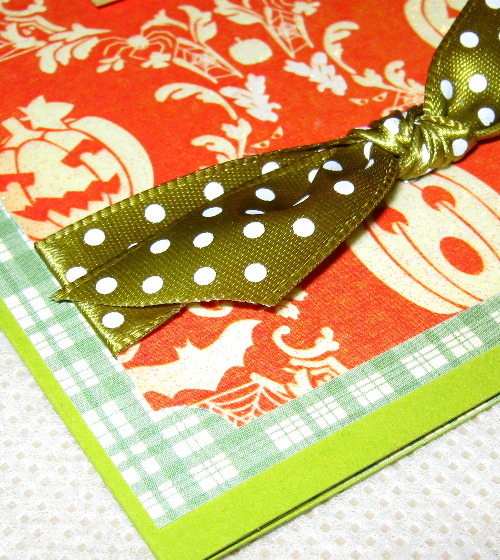 I really love this set of coordinating cuts. 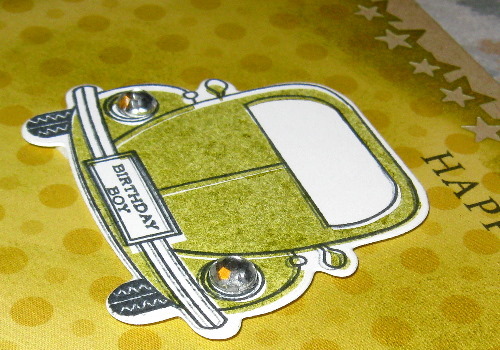 They remind of the top of a pagoda. 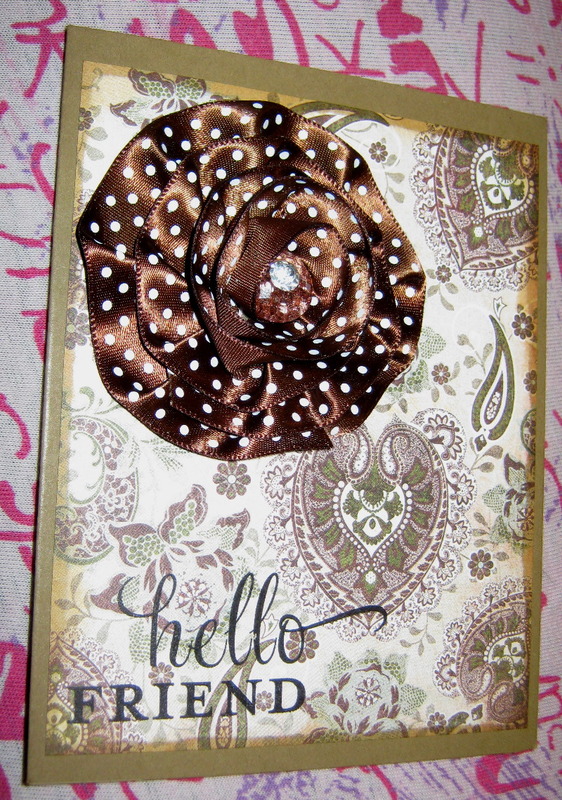 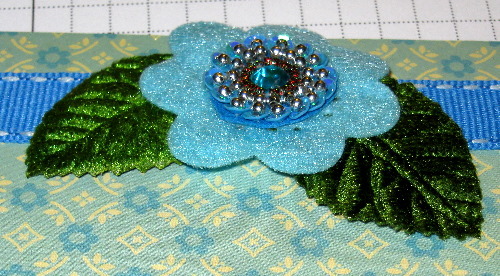 For the embellishment of my card front, I combined some velvet leaves from 7 Gypsies with a felt flower from Heidi Swap. 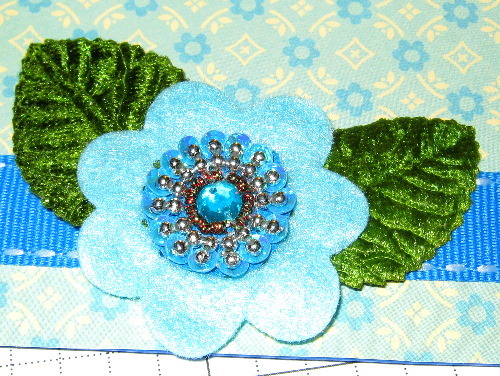 I also used a sequin, silver bead and crystal floral center from Prima Marketing. 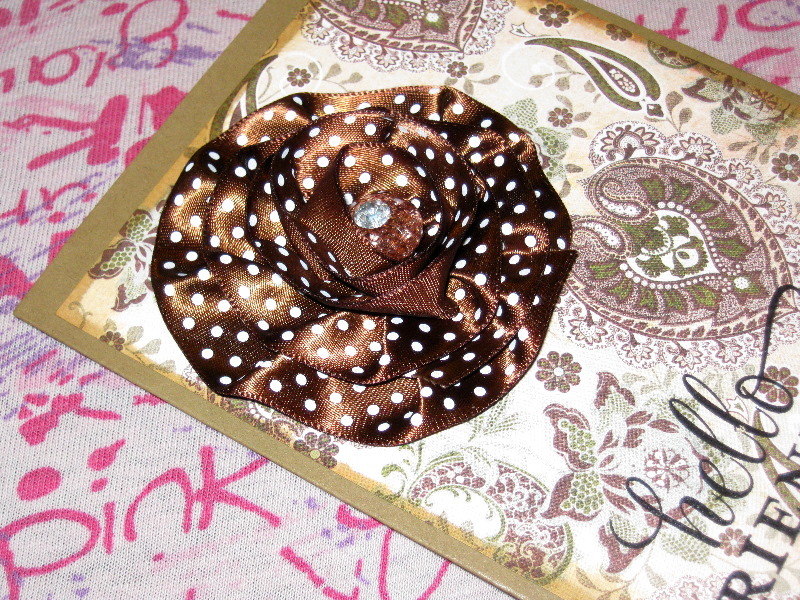 I adhered the pieces of my floral embellishment together with Glue Dots and then used All Night Media 1/2″ pop dots to adhere the piece to my card front. 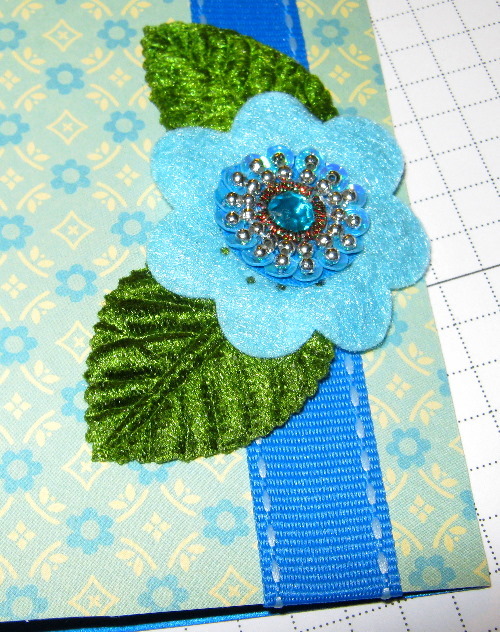 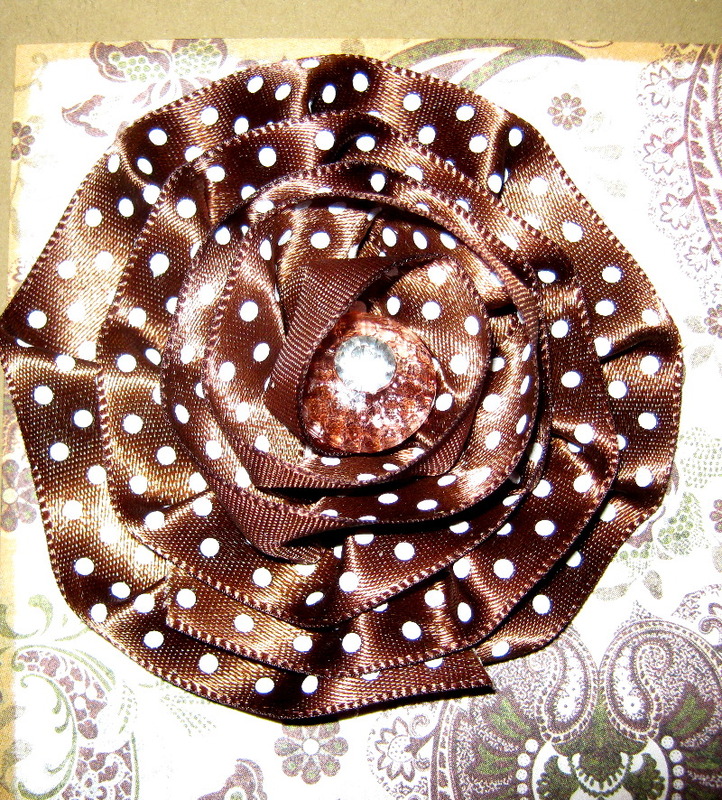 I used a piece of Pebbles grosgrain saddle-stitched ribbon to complete the effect. 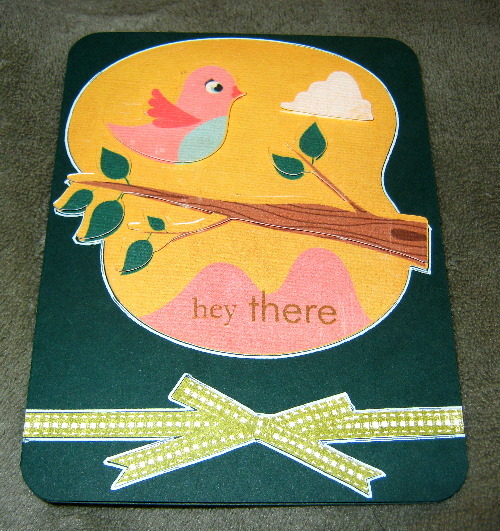 The sentiment is from Stampin’ Up! 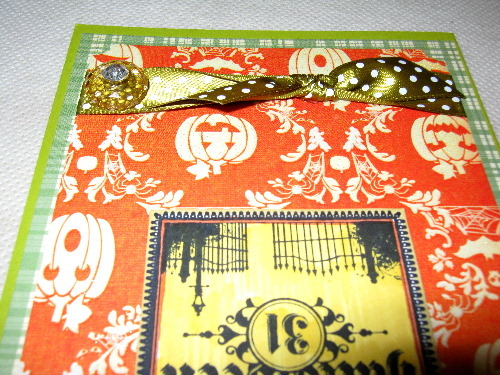 and was stamped with Papertrey Ink’s Enchanted Evening ink. 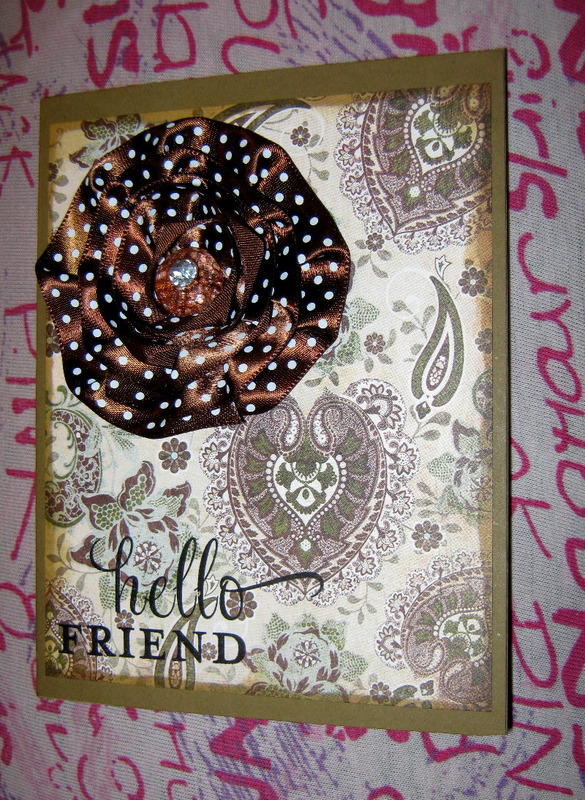 The final touch was a Jenni Bowlin journaling block to the card’s interior (as the color was very deep for writing to show up clearly). 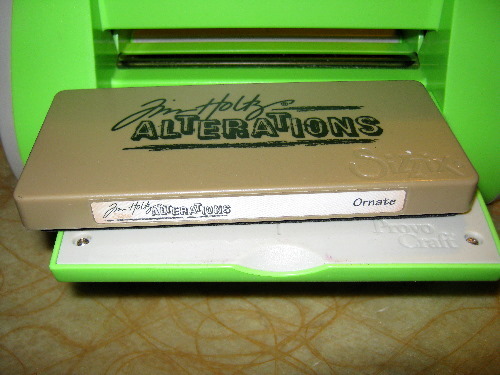 There are a total of six (6) Tim Holtz Alterations ‘On The Edge’ dies released thus far. 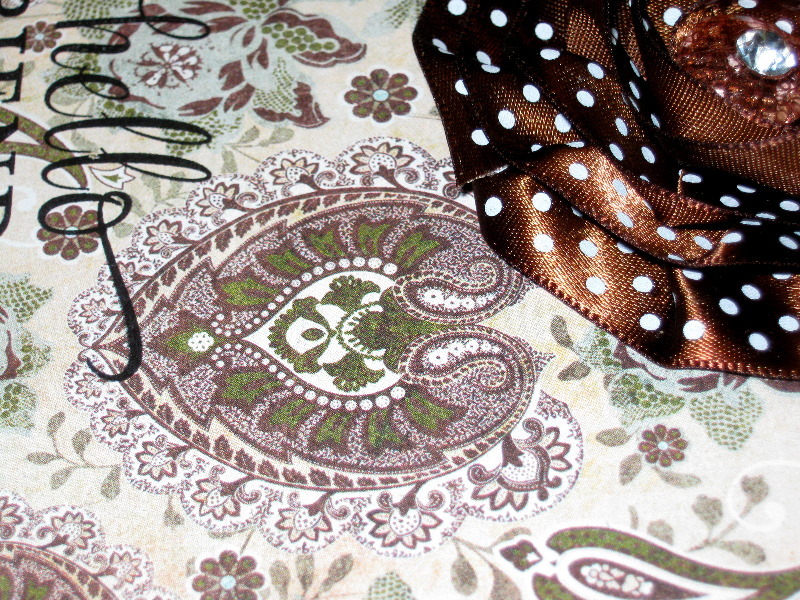 Of course, I had to add them to my craft tool collection. 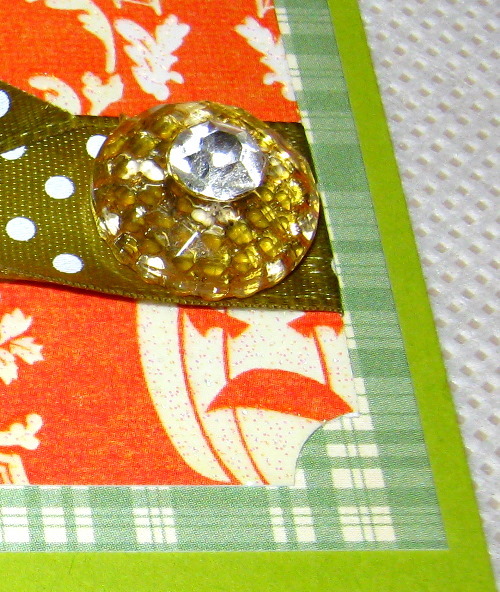 From a card making perspective, I would highly recommend these dies to anyone. 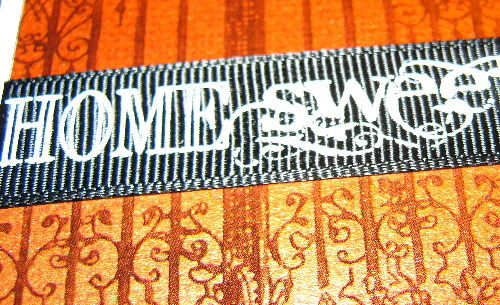 They are versatile with dual cuts. 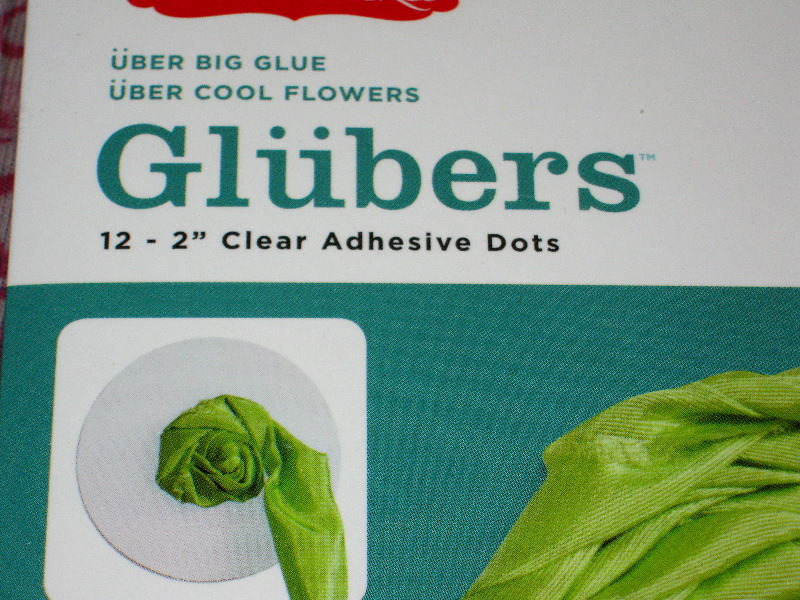 They’re easy to store and use. 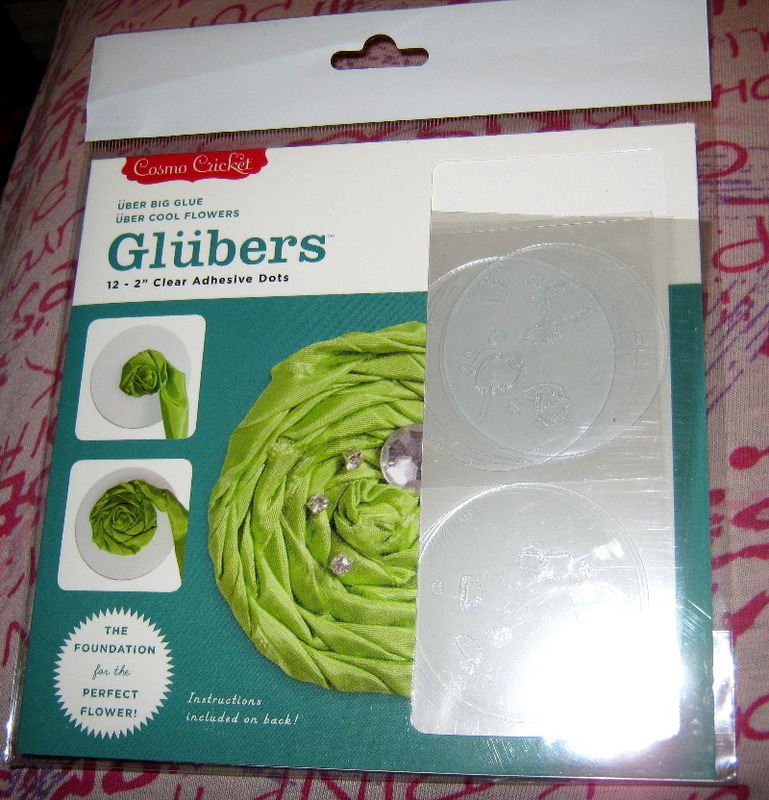 They work with your Sizzix Big Shot or ProvoCraft Cuttlebug. 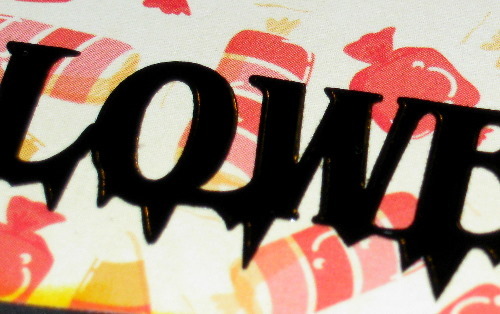 But most importantly, they give you the ability to really jazz up the look and edges of your cards for a very unique look. 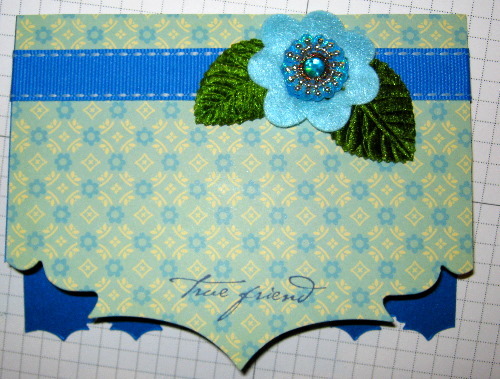 The dies released thus far are: Brackets, File Tabs, Ornate, Plaque & Postage, Scallops, and Scrollwork. 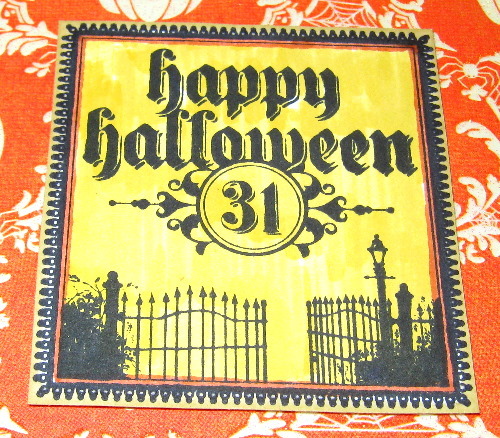 Each die retails for $13.99. 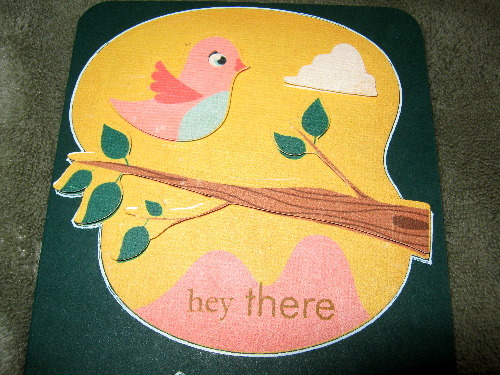 I hope you all have an incredible weekend ahead. 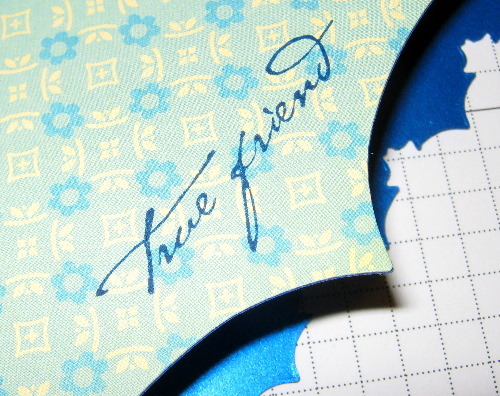 Don’t forget that the next Giveaway (see sidebar) will close this weekend. 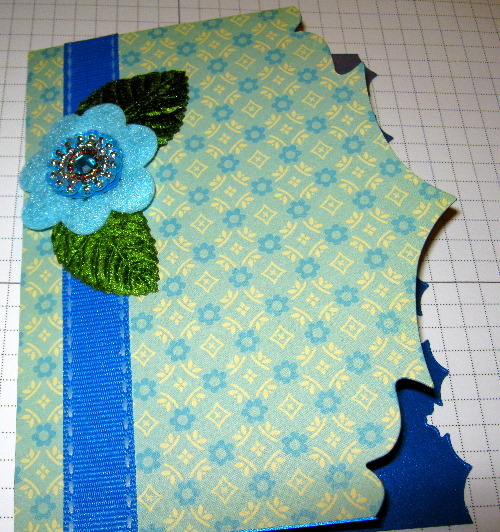 As always, Keep Crafting!